Welcome to the GrillPerks™ Program! ** Msg & Data Rates May Apply. By texting GRILLPERKS to 811811 and upon submitting your receipt image, you consent to receive multiple promotional text messages (pertaining to this program only) via an automatic telephone dialing system to the number you provided from Snipp Interactive on behalf of Far East Brokers and Consultants, Inc. Text HELP for help, STOP to stop. Your consent to the above is not required to make a purchase. 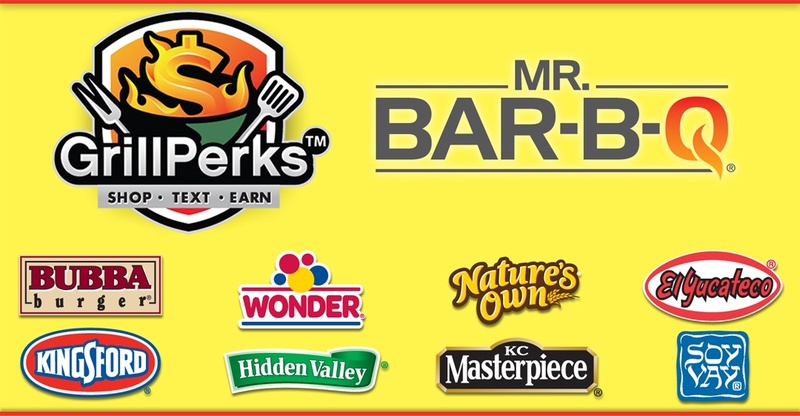 Earn points by purchasing at least one Mr. BAR-B-Q® product. You can earn more points by purchasing the qualifying partner brands too. Make sure that your receipt includes at least one Mr. BAR-B-Q® product. Each qualifying dollar amount spent is equivalent to one point. Collect 50 points to redeem a $10 gift card.